Outcome-based pricing has accelerated strongly in recent years, across industries, both as a response to rapid commoditization and as a strategy for increasing value capture and margins. Outcome-based pricing mechanisms can not only help you to combat commoditization, but they can also help you to create customer value. 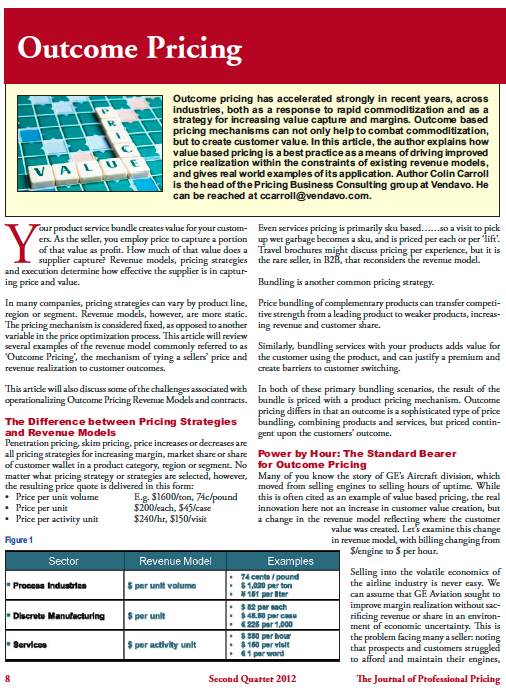 In this article, the author explains how value-based pricing is the best practice for driving improved price realization within the constraints of existing revenue models, and it also gives real world examples of its application. Download this article to learn more.